Henok had been in the U.S. for only a couple of months at that point, and those close to him expected him to save the money he earned from his part-time job. 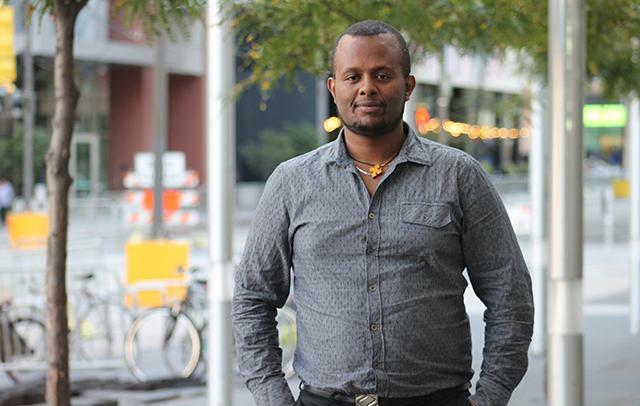 Henok, however, had a dream — one he had been determined to pursue since 2004, when the government in Ethiopia shut down the newspaper he ran there and accused him of defamation, charges that could have put him behind bars for decades. After securing a computer, all that Henok needed to do was to report, write and put together an entire newspaper. And in December of 2008, that’s exactly what he did, publishing the first issue of ZeHabesha, a 24-page monthly newspaper featuring articles that are important to the Ethiopian-American community.